As social media for dealerships has evolved, one question has remained – how does social sell cars? This question is becoming more easily answered with paid social advertising and the wealth of demographic data and targeting options that social media provides. But for dealers who don’t advertise on social media, is it still a useful channel? In 2016, 76% of online adults in the United States engaged with companies on social media, up from 68%. Customers want to connect with business when and where it is convenient for them, and nothing is more convenient than the networks they’re already on, using the device always in their hands. Every introduction, online or in person, is a chance to engage a new audience in the brand story. Each online customer interaction strengthens the relationship, and each neglected opportunity weakens it. Customers today have greater access to information that allows them more control over the shopping experience. With this information comes the demand for increased transparency. Today’s car buyers want to be served, not sold to. They want to trust they are being treated fairly. They want to feel valued, and they are willing to be loyal if they receive respect in return. Your interactions with customers on social media can enhance your reputation, create a sense of transparency, and build trust. The end result is increased loyalty among existing customers, and improved leads – focusing not only on the current sale, but also on repeat sales. Picture this: a customer in need of vehicle service in a small town has two options: a small shop where a mechanic he knows well has been operating for twenty-plus years, and a dealership. The dealership can offer the same work with the weight of manufacturer knowledge and expertise behind it, but the independent mechanic has one advantage: a pre-existing relationship with the customer. There is a trust there, earned over time, that has essentially bought that customer’s loyalty. The challenge for dealers in this scenario lies in breaking the customer perception of them as faceless entities where service jobs are interchangeable and only viewed in terms of dollar value. This is where your social media presence comes into play. Social engagement gives you the advantage. It gives you the ability to reach out and get to know your customer base in the same way the smaller guys have historically. Know your audience. By paying attention to how your audience reacts to your posts, you can understand more about them and tailor future messages more effectively. Show you’re listening. Don’t just post and ignore. Whether you like their comment, comment back, retweet, favorite, etc., make sure your social media is two-way communication. Be authentic. Don't reply to genuine interest with a generic response. If customers see the same blanket response to all posts, they will stop engaging with you because you’ve stopped truly engaging with them. It’s time to stop being a social media wallflower. Boldly approach your customers with the confidence of your brand and your dealership behind you, and use social marketing to start lasting relationships. 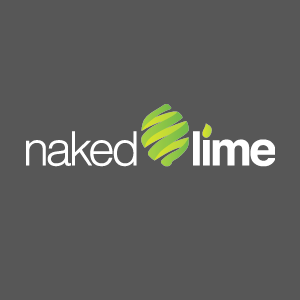 To learn more, call 855.NKD.LIME or email info@nakedlime.com.